Where are the education thinkers, policy makers, wise men and women? The nitty-gritty of education! Yes, education for what? Skills, jobs or migration? 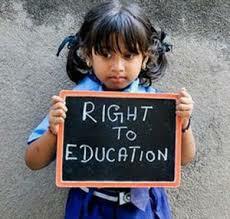 Indian education, in our view, is in deep crisis! No one in authority has a clue where our education is heading! It is heading simply in the way market forces to push education pursuits. The rising middle class, not the old middle class but the new middle class that comprises a whole lot of new social strata that often takes the political roles, one political outfit, we hesitate to call it a political party; calls the NEET to be abolished or tailored to promote students from one state only and no consideration for even the whole country. More and more democratic politics becomes populist, more and more demands and more and more education streams are likely to permeate all sections. May be who knows a time may come when even quotas for admissions to LKG and UKG might come! The Right to Compulsory Education (RTE) has done wonders for school enrolment and there is now a sense of equity and equality in the sort of quality education. May be we have to see what new forces might come about from the more and more deprived sections of society. Democracy in India is well-established at one level of looking at realities at the ground level. May be a time might come also for further levelling up. The exams also might become more liberal and why, even irrelevant and the attempts now made to introduce exams at the 8th or other levels might be given up. You see we have already levelled up education quality by many reforms. The very competitive providers of education call them by any name you like but don’t call them as educators, they are education entrepreneurs and there is such a fierce competition that newspaper, why even the TV channels are competing for ad space! Such is the education scenario now. Everyone is into the tuition industry and call them by whatever fancy name they are capable of. Illiterates are educators now, the more uneducated the more clever they are. Tamil Nadu has the dubious distinction in this category of 100% pass producing schools that at one Delhi’s better colleges the entire class of Commerce is filled with students from South Indian towns. The so-called cut-off marks syndrome is broken! This is the most degrading type of education. Skills? What are the types of skills? The very many competitive education market had almost destroyed all principles of good education, liberal, rational and philosophical foundations of a creative, cultural and innovative society. India has become a material society pursuing all material wealth and education is all about scoring marks, writing further competitive exams and also committing suicides for further pursuits. Where are the education thinkers, policy makers, wise men and women?